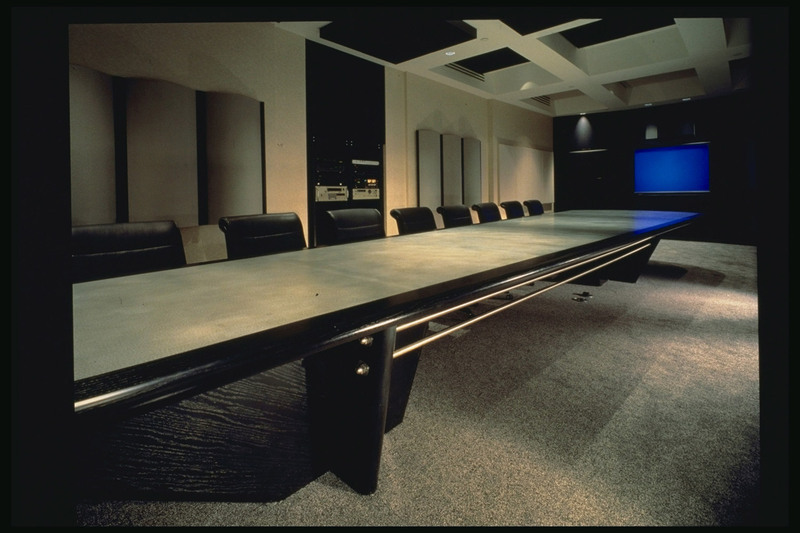 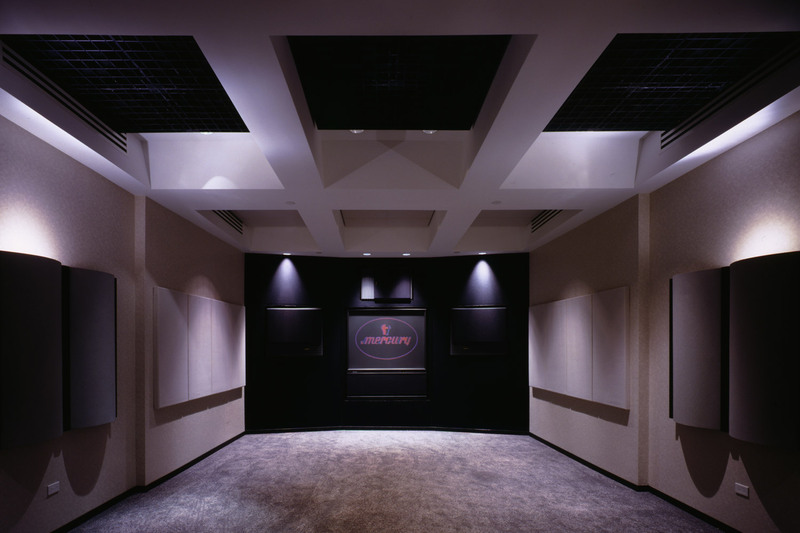 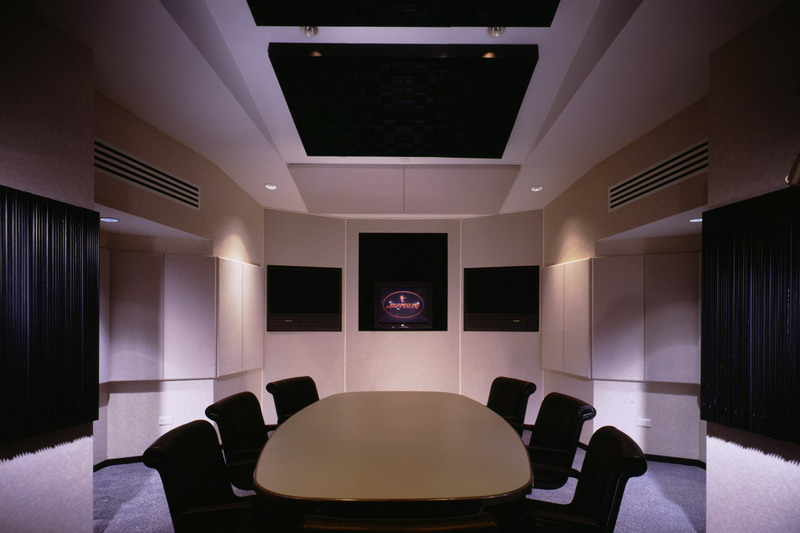 The Mercury Records Conference/Listening Room was designed to provide the label executives with an acoustical (and comfort) level comparable to that of a professional recording studio. 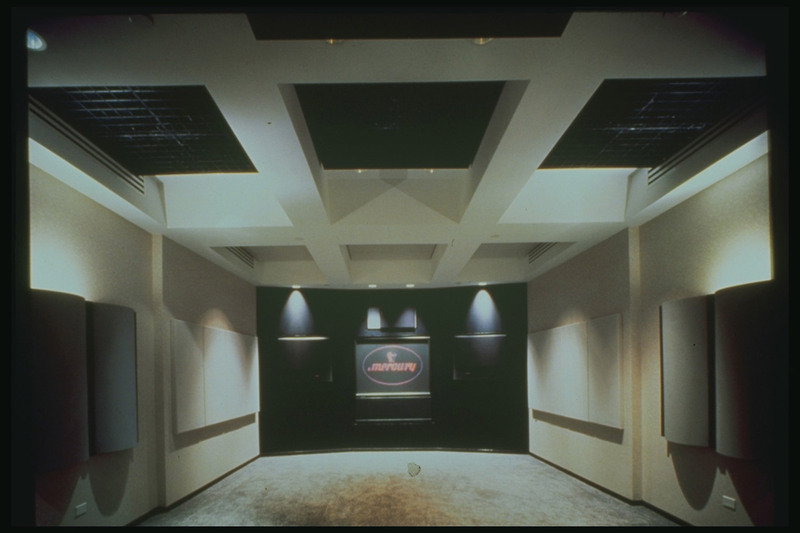 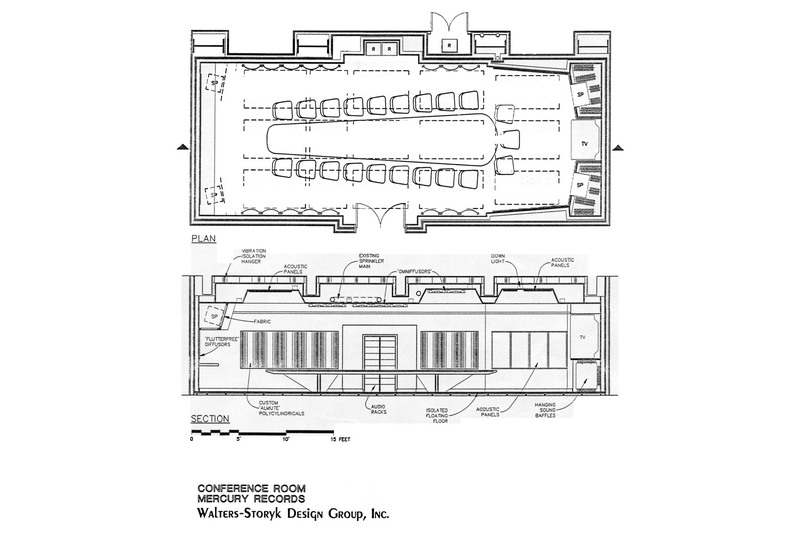 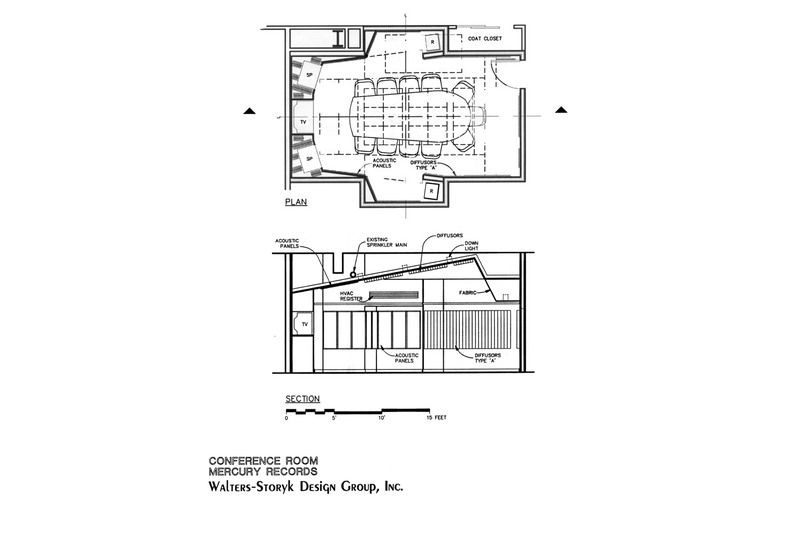 Working within a limited space and basic shape, architect John Storyk relied almost exclusively on internal room acoustics to create a totally balanced listening environment. 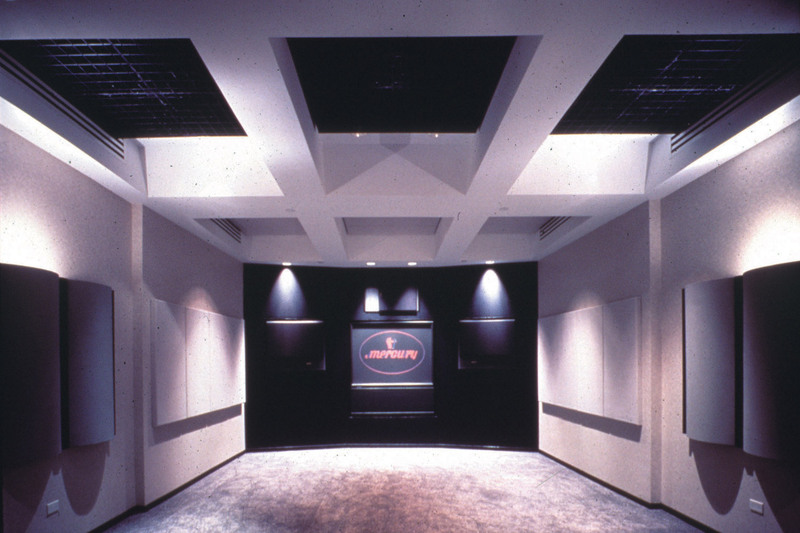 An array of ceiling coffers and the inclusion of hidden sound baffles combine to diffuse mid and high frequency sound as well as absorb low-frequency sound.